div. of Sealed Air Corp.
Unilever Canada Inc. quality manager SueAnn Nobbs and senior operations manager of ice cream Darren Vanbesien show off samples of some of the Ben & Jerry’s, Magnum and Klondike ice cream brands manufactured at the company’s FSSC-certified production facility in Simcoe, Ont. There’s something about ice cream that tends to bring out the kid in everyone—a mystical fountain of youth that drives Unilever Canada Inc. to continue to supply the Canadian market with a plethora of well-known and much-loved tasty brands of the universally-adored frozen treats, as it continues to operate as one of Canada’s top ice cream manufacturers. While it is an Anglo-Dutch multinational consumer goods company that owns a multitude of popular brands, it tends not to be overt in waving its corporate flag in the consumer’s face, preferring to let its products do the talking instead. That said, it is one of the world’s leading suppliers of food, home and personal care products, with sales in over 190 countries and reaching two billion consumers a day, with its global workforce of 169,000 people helping it generate sales of $80.8-billion in 2015. Unilever has more than 400 brands commonly found in homes around the world, with its Canadian portfolio including such iconic brand as: Axe, Becel, Ben & Jerry’s, Breyers, Dove, Hellmann’s, Klondike, St. Ives, TRESemmé, and Vaseline. “Our 264,000-square-foot ice cream manufacturing and packaging plant is run by over 300 top-notch employees,” Unilever Canada senior operations manager of ice cream Darren Vanbesien told Canadian Packaging during a recent visit to the Simcoe plant. and the Popsicle brand, which includes products like Creamsicle, Fudgsicle, and the classic red-white-and blue Firecracker, as well as fun flavors such as SpongeBob. The horizontal X-Ray inspection unit manufactured by Sartorius helps Unilever ensure consistent product quality on its Ben & Jerry ice cream production line. The actual site has long been home to the ice cream business, explains Vanbesien. “The original building here was operated as a family-run business beginning in 1888, until that family sold the operation to Unilever in 1962,” he recounts. In 1980, Unilever sold its ice cream business to Beatrice, which ironically sold it back to Unilever in 1994, which in turn acquired Natrel’s ice cream enterprises in 1995. 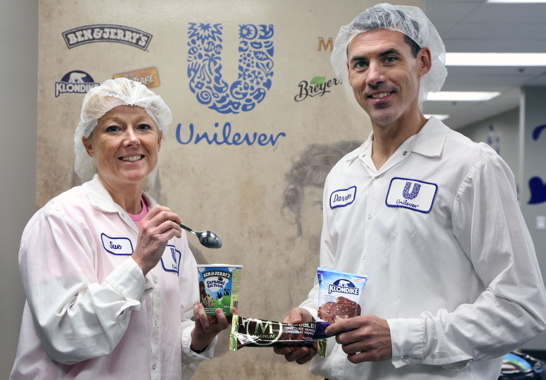 After modernizing the Simcoe facility between 1995 and 1997, Unilever began to consolidate all of its Canadian ice cream production business to this southwestern Ontario plant. 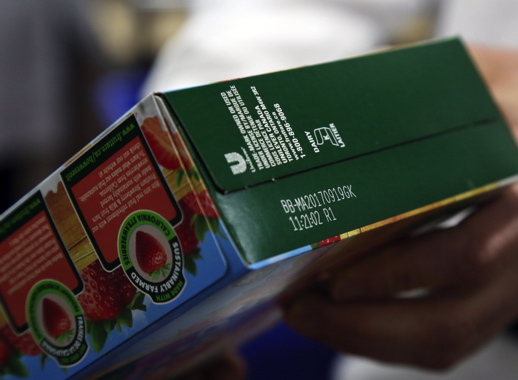 Unilever employs a Thermo Scientific brand X-Ray inspection system for its product inspection on its Rollo brand production line. Vanbesien says the Simcoe plant is proud to play a part in Unilever’s sweeping global plans to operate as an environmentally responsible manufacturer and brand-owner. Unilever announced earlier this year that it has advanced a new industry-leading benchmark of sending zero non-hazardous waste to landfill across more than 600 sites in 70 countries, including factories, warehouses, distribution centers and offices. 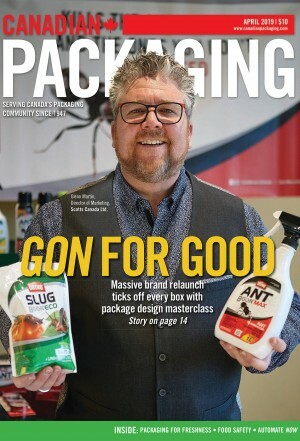 In January of 2015 after announcing that over 240 factories globally had achieved zero waste by landfill status—including the Simcoe facility—Unilever sought to replicate and achieve a zero waste model across the rest of its businesses. Improve the livelihood of millions of people by 2020. To achieve zero landfill status with its extensive recycling program, Unilever Canada will compost or incinerate materials not deemed recyclable, according to Vanbesien. “Unilever Canada is also the single-largest commercial purchaser of green electricity via renewable energy in Canada,” proclaims Vanbesien, adding that all Unilever Canada facilities are ‘bullfrogpowered’ with 100-percent clean, renewable electricity. Ice cream filler and capper systems designed and manufactured by Huhtamaki are considered to be among the very best in the global ice cream and frozen treats industry. Just like its sister west-end Toronto plant in Rexdale, where Unilever produces the Becel margarine and Hellmann’s mayonnaise brands, the Simcoe facility is certified to the new international FSSC 22000 (Food Safety System Certification) food safety standard of the ISO (International Standards Organisation). 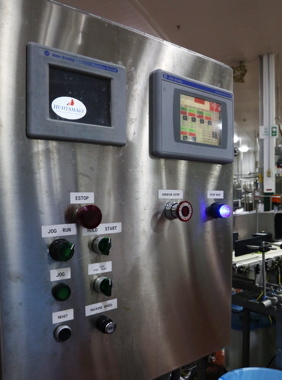 “The FSSC 22000 combines ISO documentation standards with food safety,” explains Vanbesien. “The program is both HACCP (Hazard Analysis Critical Control Points) and food safety-risk-focused. “It is an intensive food safety program that covers all aspects of food safety from management commitment to critical control points within the HACCP program,” he says. 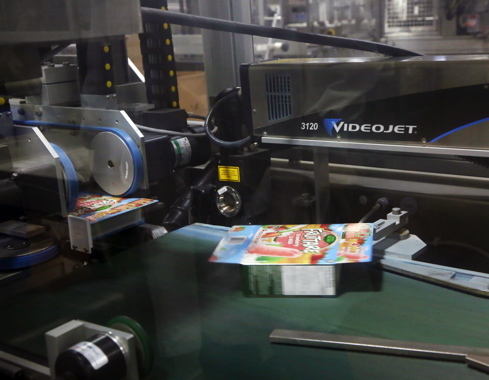 Videojet laser coders are used by Unilever at its Simcoe facility to apply best-before data on primary packages, such as the box of Fruttare frozen fruit bars. A close-up of the variable product information etched onto the paperboard packaging. 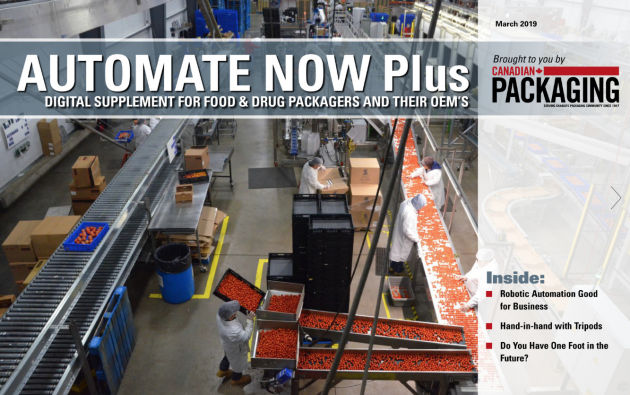 Other safety features at the Unilever facility include a foot/shoe washdown upon entering the production area, and Sealed Air Diversey Care equipment and materials for complete facility and equipment washdown. Incidentally, Vanbesien notes that Unilever actually used to own Diversey Inc., now recognized as a global leader in food safety and security, facility hygiene, and product protection assurance. Vanbesien says that while food safety is extremely important to Unilever across all aspects of the company, he notes that food quality is just as important. “We have 25 employees that comprise a trained panel from which we can choose to participate in our daily taste panels on various ice cream products,” explains Vanbesein. “Every day, between three to five people will enter our sensory room and audit daily production. “It’s just one of the ways we ensure our customers are able to consistently enjoy our tasty products. 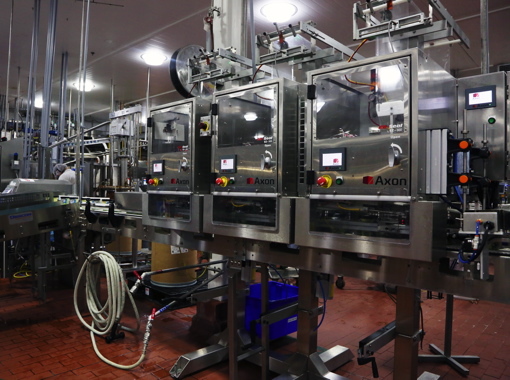 With several production lines for all its chilly products, Unilever purchased and installed a Sartorius Inc. X-Ray machine on its Ben & Jerry line that checks quality and consistency. Headquartered in Hamburg, Germany and part of the Minebea Group, Sartorius is considered to be one of the leading global manufacturers of precision ball bearings, and machine components and other high-quality precision technologies. 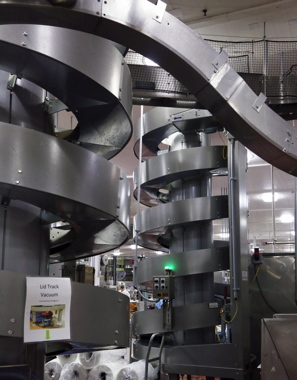 The Unilever plant employs a series of Ryson spiral conveyor systems to transfer boxed product towards the end-of-line packaging. The Sartorius X-Ray inspection system at the Simcoe plant is designed specifically for the food industry, with easy maintenance and cleaning capabilities to go along with what Sartorius calls unrivaled accuracy and reliability. 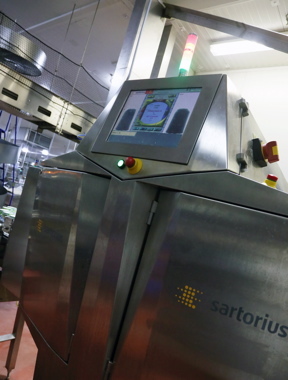 For the food industry, Sartorius designed the machine to inspect for a wide range of contaminants in many different types of packaging, including glass, bottles, cans, cartons and other rigid containers. 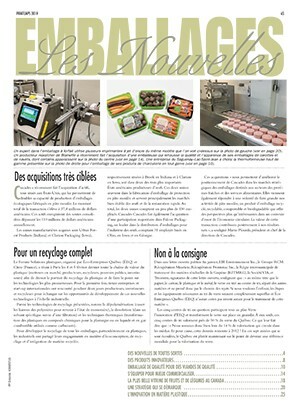 A modular system, Vanbesien found the Sartorius system easy to integrate into the existing conveyor system of the Ben & Jerry production line. 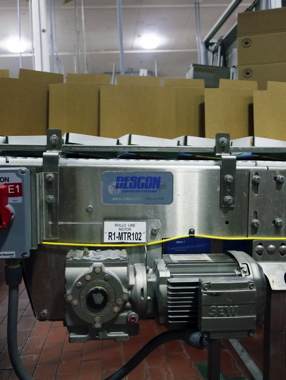 Descon conveyors are powered by the smooth efficiency of SEW Eurodrive motors to help move product through the multiple production lines housed at the Simcoe facility. “It’s also quite easy to operate,” acknowledges Vanbesien. “The interface is user-friendly, which makes even the most complex of operations a snap. 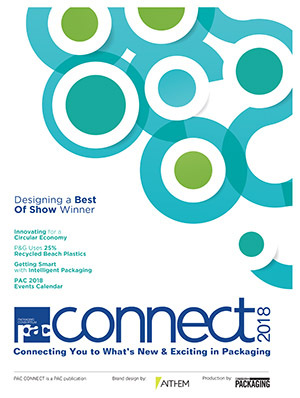 “The software that was supplied with the equipment also helps play a key role in our quality control system, with checks via virtual testing and parallel image processing to ensure our product is exactly what we and the consumer expect it to be. 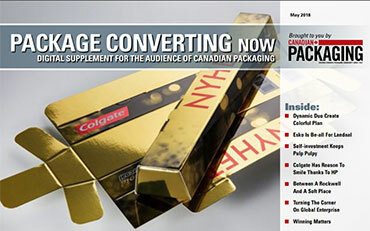 Unilever Canada also uses three Thermo Scientific X-Ray inspection systems. “I am extremely pleased with the performance of all our X-Ray machines,” extols Vanbesien. The Thermo Scientific brand of X-Ray equipment is manufactured by Thermo Fisher Scientific, Inc., a Waltham, Mass.-headquartered multinational biotechnical product development company catering to research and science technologies. 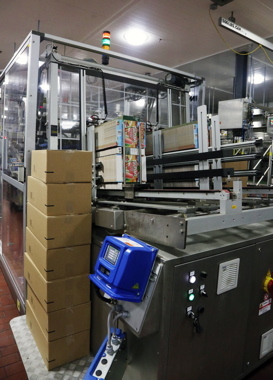 An Imball carton erector uses a Nordson pattern control system for reliable hotmelt adhesive applicating on Unilever’s Fruttare frozen fruit bar production line. 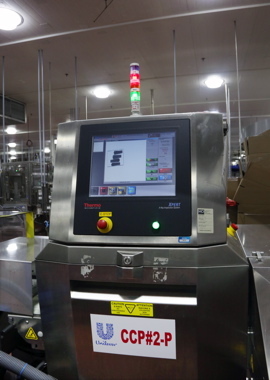 For lot data and other important product identification applications, Unilever’s Simcoe facility relies on the competencies of Videojet Technologies’ high-performance laser scribing systems. performance we receive from the Videojet laser marking systems. 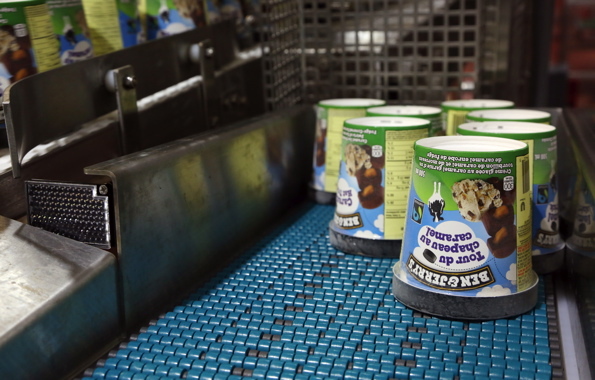 Highly hygienic SystemPlast belting from Regal Beloit is used to carry tubs of Ben & Jerry’s ice cream on a conveyor line manufactured by Descon Conveyors. Moving the product along the various production lines are conveyor systems manufactured by Descon Conveyor Systems, a Newmarket, Ont.-based company that has established itself as trusted supplier to many major beverage and food manufacturers, including Unilever, Coca-Cola, Molson, Kraft, Pepsi, and Diageo among others. 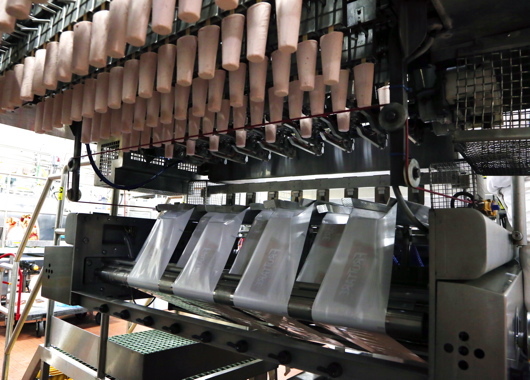 The Descon conveyors utilize hygienic food-grade SystenPlast belting manufactured by Regal Beloit. Unilever also swears by the performance of its Huhtamaki ice cream filler-capper that Vanbesien says was moved from one of the company’s other locations to Simcoe. A highspeed Axon shrinksleeve applicating system is used to apply a strong tamper-evident plastic sheathe around the neck and the body of the ice cream packaging. Flexible plastic polywrap film is purchased mainly from Sonoco Flexible Packaging, while tubs are mainly supplied by Double H Plastics. 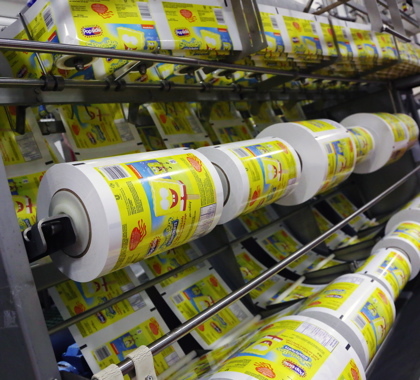 Rollstock pre-printed polywrap film from Sonoco Flexible Packaging is used at the Unilever ice cream facility to make primary packaging for the SpongeBob ice treats. As Vanbesien reiterates, “It’s our dedicated and knowledgeable people making the ice cream that makes us so successful.